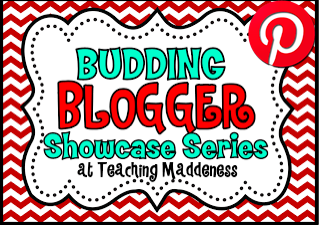 Navigating Nonfiction and Budding Blogger Showcase! I've had Nonfiction on my mind a lot lately. I teach sixth grade to some serious smarties, and with the changes in the Common Core Standards this year I've had to revamp a little of my Language Arts program. I was reading a lot of novels before, and using Writer's Worksop. As much as I <Puffy Heart LOVE> the novels I read like Hatchet, and Chasing Vermeer, I've found I need to spend more time on nonfiction text features and structures. Nagivating Nonfiction was born from that. I didn't want to do just one single unit on nonfiction. 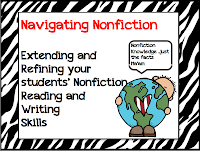 So much of what is read today comes from this category, I felt I could find a way to infuse it into more of my ELA daily/weekily routines and units. Finally with almost half the school year gone we are hitting our stride. We are getting better at recognizing cause and effect and compare/contrast in text, and I have added narrative expository stories as examples. We are consistant with the task rotation cards I've created for structures and features, and I'm adding more challenging text every week. Now, I'll begin pulling my Writer's Workshop back in with expository text. We've done a ton of summary writing and now I'll be getting into biographies. Meanwhile, my next reading goal is to find meaningful nonfiction text that supports themes, ideas and issues from my novel units of study. My expectation is that by the end of the school year, our last novel, (Chasing Vermeer) will incorporate not only critical reading skills for fiction, but also articles on art, biography and history. Do you have a resource you can share with me? I would LOVE to hear it! and Last, but NOT least.. 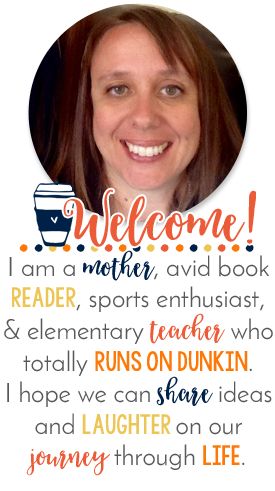 Thank you to Amanda at Teaching Maddeness-- I am her BUDDING BLOGGER profile today! Amanda is FAB-U-LOUS! 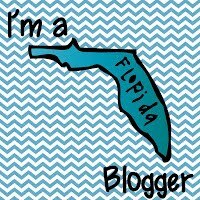 She has really helped me out a lot and is quickly becoming one of my good blogging buddies! Please check out her blog if you have a chance! Michele.... I love your blog and am your newest follower. We are moving to Common Core next year and so it is great to get some of your ideas on how you are moving that way in math and reading. I love "foldies" too and love the way you approached teaching text structures (tough with my fourth graders too!) I look forward to getting many new ideas from you. Thank you for sharing! I'll definitely be checking out your TpT store in the future! Hi Jennifer! Nice to meet you! Thanks for stopping by Coffee Cups! Common Core has been a bg transition this year. It is tougher than I expected it to be! Stop by often and please share how your Common Core transtiion goes as well! I've never heard of Chasing Vermeer. I love to read but usually the only thing I have time for is YA fiction! I'll have to check that one out.